Of course, our curious Lower Schoolers had lots of questions for Sarah. "Where did she get the idea for Upside Down Magic?" For Sarah it was more about working with a team. "What was her favorite book?" Well, her most fun book was Cold as Ice from the Whatever After series. "What do you do if you have writer's block?" One of her responses was to try a different location. 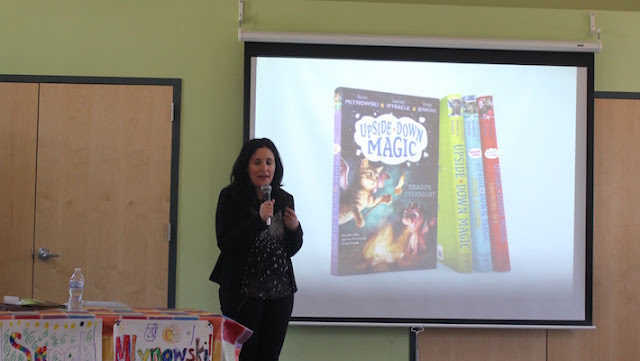 Her next Upside Down Magic book will be coming out in September.